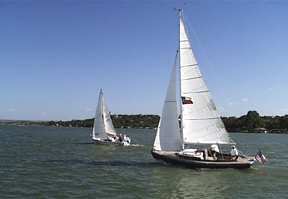 Lake LBJ Tourist Guide and Visitors Guide for boating, fishing, Lake LBJ cabins, RV parks, resorts, Lake LBJ real estate. Lake LBJ water sports are very popular. Lake LBJ, named after President Lyndon B. Johnson, is part of the Highland Lakes chain of seven lakes starting in Austin and going northwest for over 85 miles. Lake LBJ starts near Horseshoe Bay, 45 miles from Austin, and goes all of the way to Kingsland. 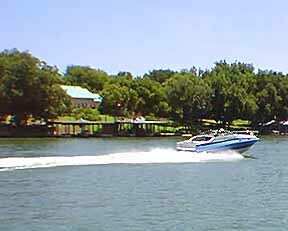 Lake LBJ is a popular lake for boating and water skiing. 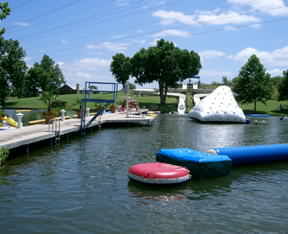 Tourists are attracted from all over Texas and the U.S. to take advantage of this big beautiful lake. Many people in Austin, Houston, San Antonio and Dallas own weekend lake homes on Lake LBJ. Many of these people also retire in the area of Lake LBJ. 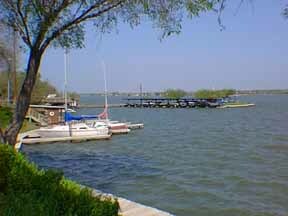 The shores of Lake LBJ are dotted with nice homes with boat houses and automatic boat lifts. 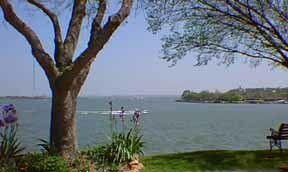 There are several communities along the shore of Lake LBJ: Kingsland, Highland Haven, Granite Shoals, Sunrise Beach, Deer Haven, Blue Lake and Horseshoe Bay. 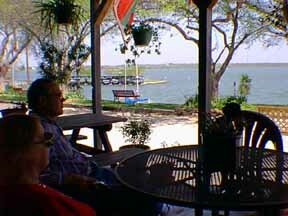 Lake LBJ is a great retirement area as well as a recreational area. This area has been rated in the top three areas of the U.S. for retirement. 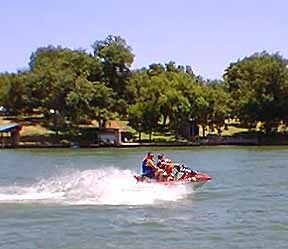 Lake LBJ is a great place to rent a cabin, condo, motel or park your RV. All are open year round. RV Parks located on the waterfront of Lake LBJ in Kingsland, allow you to enjoy watching all of the boating activity on Lake LBJ. The sunsets are absolutely beautiful over the lake. There are also vacation rental homes along the lake. The lake is perfect for boating and is not overcrowded. Lone Star R & R - Park Model RVs.....These luxurious Park Models can be used for lake houses, hunting cabins, guest houses, retirement living, Winter Texan homes, rental income and more.